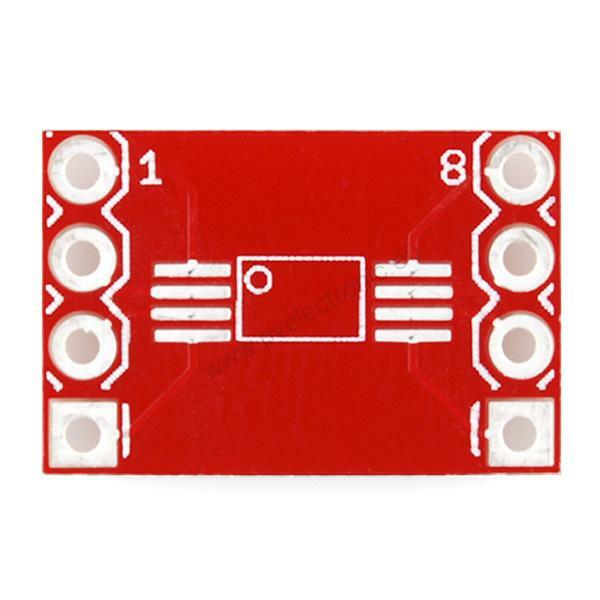 Description: 8-Pin SSOP to DIP break out board. 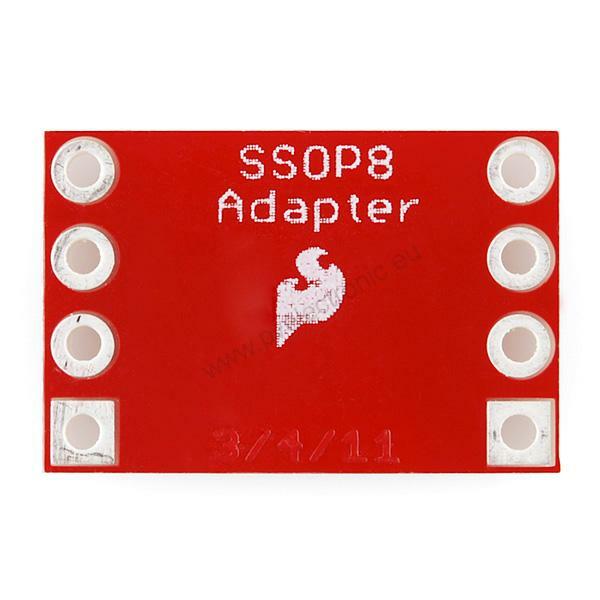 The footprint was rotated to accommodate different width SSOP devices and can be used with 8 pin SSOPs. Designed to be used with 0.65mm pitch devices but can also be used with 0.025" pitch devices (comes out to ~0.635mm). We've made these 0.635mm devices fit just fine. Can be used with packages from 0.200" (5mm) up to 0.450" (11.4mm) in width. Breaks out SSOP pins to standard .6" (600mil) and .3" (300mil) DIP width to be used in any DIP socket or bread board. 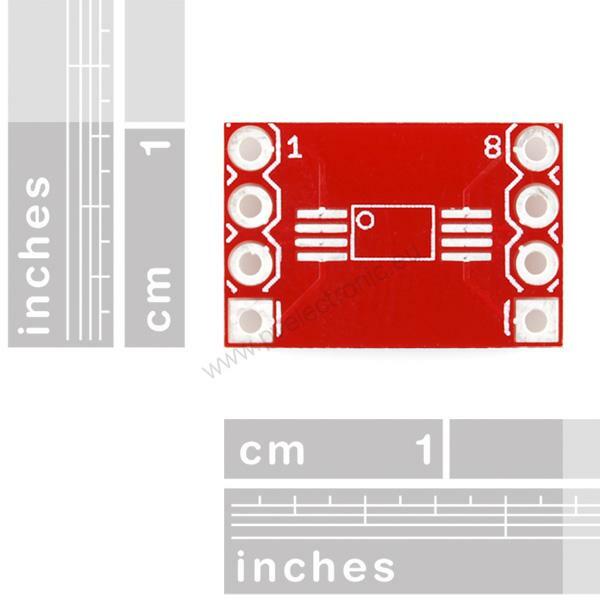 Dimensions: - 8-Pin : 0.5x0.5" (12.7x12.7mm) 40 Pin break-away headers are perfect for use with these custom PCBs. 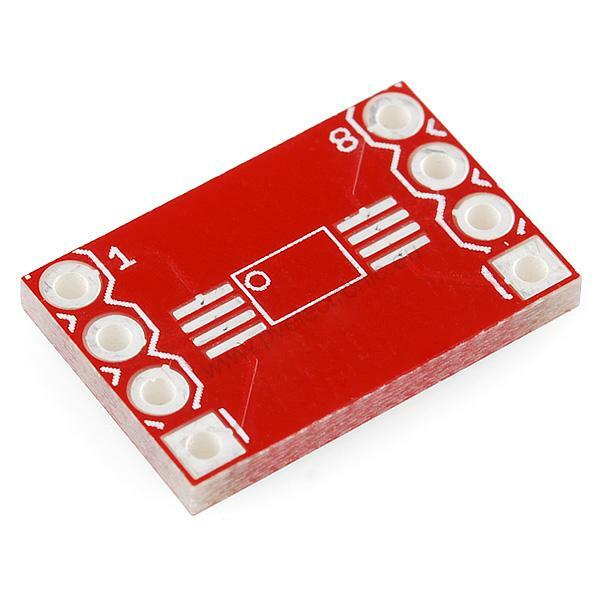 Machine pin headers may be a better option for IC sockets. Supported Devices: Pad layout fits all standard SSOP .65mm and can accommodate .635mm pitch devices.